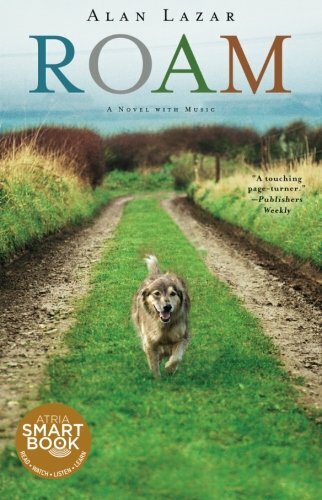 A wise and heartwarming first novel about families, love lost and found, and a scrappy three-legged dog who is trying to find his way back home. It’s the dog owner’s greatest fear, even worse in some ways than a beloved pet dying. Your dog getting lost—missing for days, then weeks, perhaps gone forever. 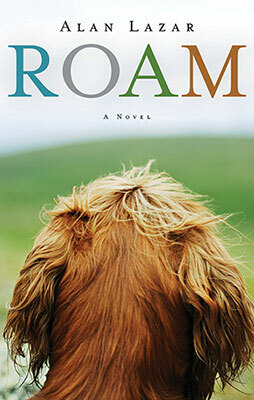 Roam is the story of a dog named Nelson who follows his nose one day and gets lost, becoming separated from his anxious owner. 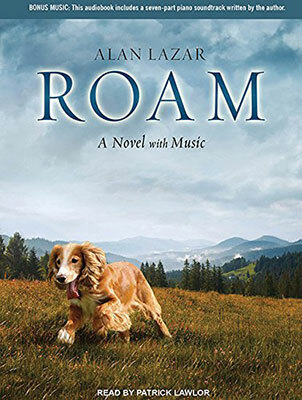 Roam follows Nelson on his eight-year stray away from home, until one day he is miraculously reunited with his family. 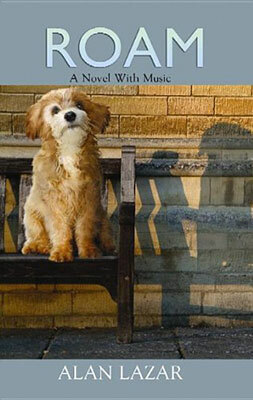 Through it all, Nelson maintains his optimistic spirit and unflagging yearning for the Great Love, his first human owner, a concert pianist named Katey. He never stops longing for her, and she in turn never stops searching for him. Lazar’s skillful rendering of a dog’s cognitive, sensory, and emotional life celebrates the extraordinary magical power of dogs, showing what this scrappy little mutt with a courageous heart can teach us humans. This deeply moving story of families, the human condition, and longing in America will deeply affect readers and remind them of the healing powers of survival and enduring love. Roam features a seven-part soundtrack—composed and performed by the author—embedded in the text. You can listen to it here. Every year about 5 million dogs and cats are killed in shelters in the US, about 56% of the animals entering (Humane Society). In six years, one unspayed female and her offspring can reproduce 67,000 dogs, many of which will die in shelters. To help change this very sad situation, please be sure to adopt a dog or cat from a shelter next time you’re looking for a new pet. Also, please make sure that your animal is spayed/neutered. Speak to your vet about implanting a microchip in your dog or cat, to make sure they return home safely if they get lost. Why did you decide to write Roam? Roam was a story that germinated for many years. 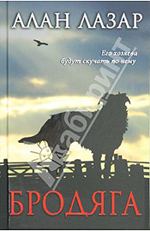 When I was a kid I loved the book Jonathan Livingston Seagull. About five years before I wrote Roam I had the idea of writing a similar type of spiritual adventure story, but with a dog as the lead character. 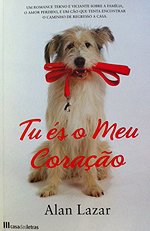 Our family’s dogs, with whom we share a very wonderful relationship, were powerful inspirations for the story. Then, after I lost my dad a few years back, I found myself thinking a lot more about the meaning of life, and death, all that sort of existential stuff losing a parent makes you think about. At that time, I felt compelled to sit down and write Roam. I didn’t really know what was going to come out of it, and it felt like something personal. I had no idea then it would ever even be read by anyone else, let alone be published. I had a break in composing jobs, and wrote the first half over about three months. Then, I got busy again on music, and didn’t come near it for a while. A few months later, I read what I’d written on a long plane flight, and thought it would be good to finish it. About three months later I had a draft. How did you create the story from Nelson’s perspective? Whenever I take our three dogs for a walk, I’m intrigued by the way they sniff everything with such joyful interest, and intense focus. Grass particularly interests them. I often find myself wondering what’s going through their minds. I thought a lot about what it must be like to see the world through your nose, rather than your eyes like us humans do. So, when I started writing Roam, I tried to write it as much as possible from that perspective. How similar are writing and composing music? The satisfaction I felt at finally finishing Roam was much greater than I’ve ever felt in any other sort of creative work. But in fact, I find composing music a little easier than writing, as there’s a sort of instant, visceral result, when you sit dabbling around on a piano. Writing is more internal, in your head. One has to overcome more resistance and procrastination to get it done! But there are also a lot of similarities in the process. For me, with both music and writing it’s all about collecting little meaningful fragments and ideas, and stitching them together. I love the image of a magpie flitting around, finding shiny little things to take back to her nest, and patch together in a beautiful necklace. Structure is very important to me in both writing and music, and finding the structure that works to tell a story, either in words or in music, is often the key to things for me. This has always been the case with music—some have called it ‘frozen architecture’. But I think a good novel has a really powerful structure to it as well, even if it’s invisible. Writing also necessitates a great deal more research. Music is a completely abstract art form, but what one writes has to feel real, it requires the reader suspend their disbelief. 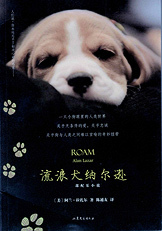 So, although Roam is a fictional work, I did a lot of research about dogs, beyond what I naturally knew of them from living with my dogs for more than ten years. In particular, I studied wolves very thoroughly as I didn’t know much about them. I wanted the section of the novel where Nelson lives with the wolves to be absolutely believable, and so I read everything I could lay my hands on about wolf clans and how they operate. How did the Roam piano pieces come about? My terrific editor, Sarah Durand, in fact suggested that. The publisher thought it interesting my background was in composing, and they thought some special songs for the book would make it special. At first, I was a little apprehensive, as I wasn’t sure what writing music for my own story would feel like. But when they emerged, I felt very happy with them. Emotionally, they feel quite organic and connected to the story to me. On the e-book versions you can listen to them on your iPad, Kindle or Nook, and in the hardcover you can scan the tags and listen to them over your iPhone on YouTube. Is Roam going to be a movie? I’d love for Roam to be a movie, and we have a great agent working on selling the movie rights. I think it would be interesting as both a live action film, or a computer-animated story like the Pixar movies, which are among my favorite films of all. Is Roam being published internationally? We are very excited that Roam will be sold in many countries around the world—Germany, France, Italy, Portugal, Holland, Norway, China, Russia, Brazil and hopefully more to come. What do you want readers to take away from Roam? Folks who’ve read Roam thus far have taken many things from it. What I love about novels is that people have such different interpretations of them, and often they connect with the specifics of people’s own lives and their personal struggles. I hope people enjoy their time reading the book. My greatest fear is to bore people! Oh, and hopefully next time they want a new pet, I hope they head to the animal shelter to get one, so that one less animal can be spared the horrible fate many have each year. We have three dogs—Nelson (the real one), Chicky and Milan. All three are miniature poodles, which were a big discovery for me as they’re hypoallergenic, and very sadly I can’t keep most dogs in our home as I’m allergic to them. This is very frustrating, as I love cuddling with big longhaired dogs! Chicky (short for Chiquita Lulu) is the oldest of the three. She’s a remarkable twenty years, which makes her one hundred and forty years in dog years. She suffers from advanced kidney and heart disease, and a while back the vet told us she didn’t have long to go. At that point we started giving her Kentucky Fried Chicken for dinner every night, as we reckoned since she didn’t have much time left, she may as well enjoy herself. Rather unexpectedly, she made a remarkable comeback! She gained back all the weight she’s lost, and is behaving like a puppy again. Chicky and Nelson mated, and had six puppies. We managed to find good homes for all of them except, Milan, who we kept. Nelson is thirteen years old, and Milan, his daughter is just a little younger, twelve years old. Milan is one of the few dogs that have been lucky enough to live out her life with her mama. They are very close, and Milan still lets Chicky lick her stomach like she did when she was a baby. They’re quite inseparable, and share a kennel together every night. The real Nelson’s personality is very similar to Nelson in Roam. He’s lived a very sheltered protective life in our home, but he has a sort of amazing wisdom and empathy to him. He’s extremely loyal, and wants to spend twenty-four hours a day with us. 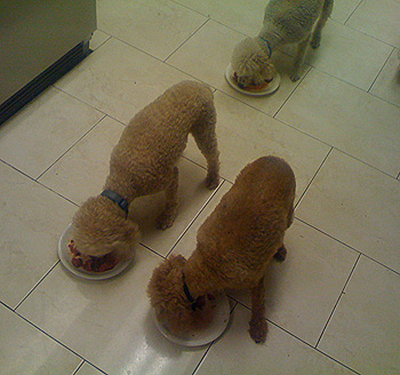 Alan’s three dogs celebrating the publication of Roam with steak!